Crookhurst Farm & Cottages07773 047591work Self-cateringCrookhurst is a working farm set in open country side, 0.5 mile from the picturesque village on the Solway coast. 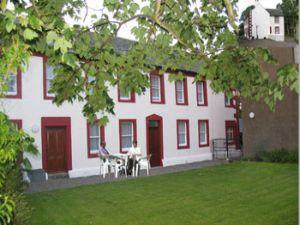 The farmhouse provides spacious group accommodation sleeping up to 10/12 people in a cosy, homely environment. Whether you like to lock yourself away from the world in a quiet rural setting or visit the shops, sport and leisure facilities close at hand in Allonby, Cockermouth, Keswick, Maryport and Silloth. Crookhurst makes an ideal base for fell-walking bird-watching, Cumbria Coastal Way, sea and coarse fishing and horse riding. It is 0.5 mile to the village of Allonby and 15 minutes to Cockermouth where the Lakes poet William Wordsworth childhood home can be visited. Half hours drive you're in the middle of the Lake District, Keswick which is adjacent to the picturesque Lake of Derwent Water, starting point of the popular Skiddaw and Catbells climbs. Crookhurst is a working farm set in open country side, 0.5 mile from the picturesque village on the Solway coast. The farmhouse provides spacious group accommodation sleeping up to 10/12 people in a cosy, homely environment. Whether you like to lock yourself away from the world in a quiet rural setting or visit the shops, sport and leisure facilities close at hand in Allonby, Cockermouth, Keswick, Maryport and Silloth. Crookhurst makes an ideal base for fell-walking bird-watching, Cumbria Coastal Way, sea and coarse fishing and horse riding. This traditional unspoilt farmhouse stands in large enclosed lawned garden in a quite rural setting, surrounded by open farmland, with view to the Solway Firth and Skiddaw. It is an ideal base for all the family, groups of all ages. Allonby Bay is just 0.5 miles away. A great location for exploring the west/northern Lakes. Within easy reach of the Scottish Border. Ground floor for limited mobility with wheel chair access Children welcome from any age. Crookhurst Farm & Cottages offers weekly bookings starting on any day and sometimes short breaks. Five bedrooms, made up of: 1 single, 1 double, 1 twin. We also have 1 family room, and 1 large family room, including en-suite, each comfortably sleep 3. Crookhurst Farm offers weekly bookings starting on any day and short breaks of 2 or more days starting on any day. Leave the M6 jct 41 and follow the B5305 until you reach Wigton. Turn left onto A596 to Aspatria. Turn right for Westnewton B5301, turn left for Allonby. Follow for 3 miles, 1st farm on your left to Bowscale Farm and Crookhurst. Comfortable, clean, and warm, cottage at a reasonable cost. A great location for what we wanted to do. Also a great location for exercising our dog.